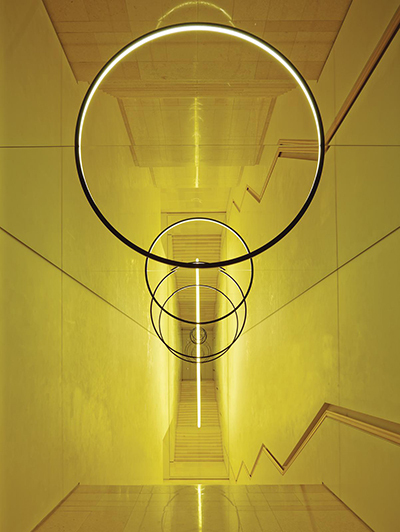 This installation by Olafur Eliasson reflects the other half of lighting with a big mirror to create circles of lights. It can be perceived merely as utilising reflection effect, but we interpreted it as completing something incomplete with a special medium. Here in the installation, this medium is physically static. From this we questioned : what if we can complete an incomplete substance by a high dimensional medium which contains intentional movement and elapsed time? The results ended up with a motion film and a physical spintop set. Some incomplete conditions are just being completed by natural phenomenon. 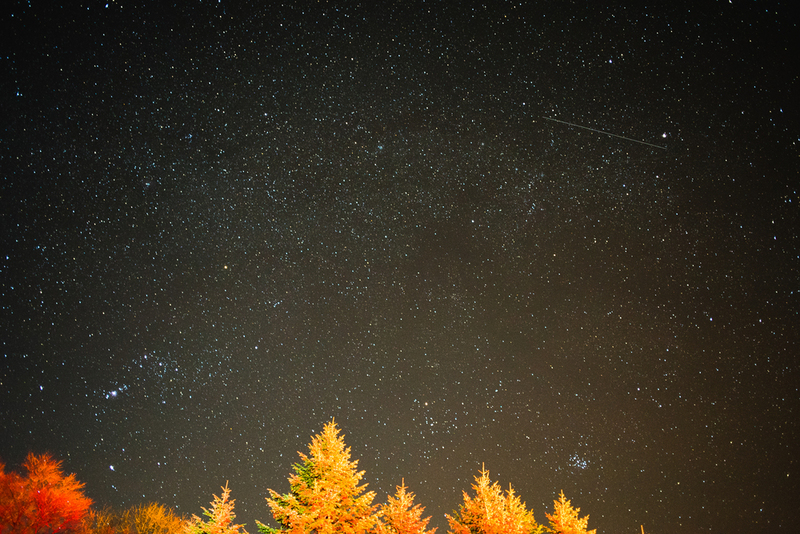 When we look up in the night sky, we normally don’t realize that the stars are moving. Obviously to tell the truth, as we all know, the earth we are standing on is moving very slowly, by revolving around a gigantic axis. Nevertheless, if you try lying down for a few minutes staring still at the night sky, you then realize this silent movement, the world revolving around me. We tried to visualise this trace with a film, which puts ‘me’ in the center of everything. 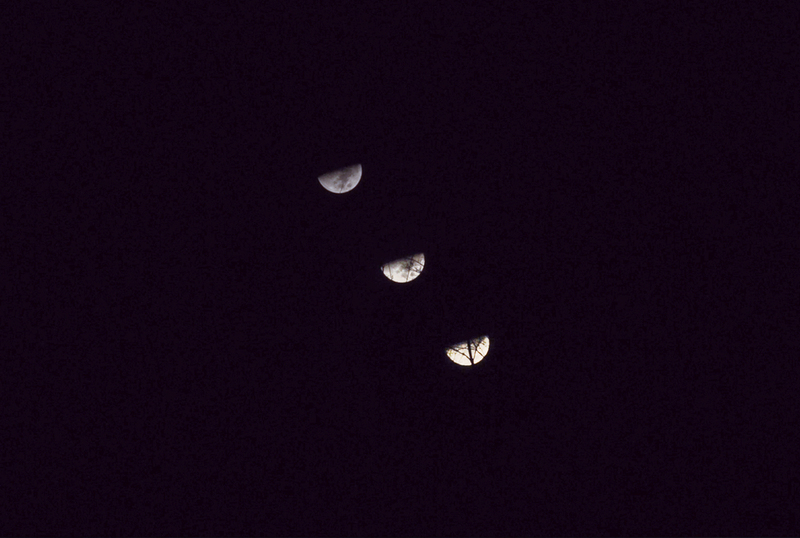 Test shot 1: Traces of the moon and stars falling. 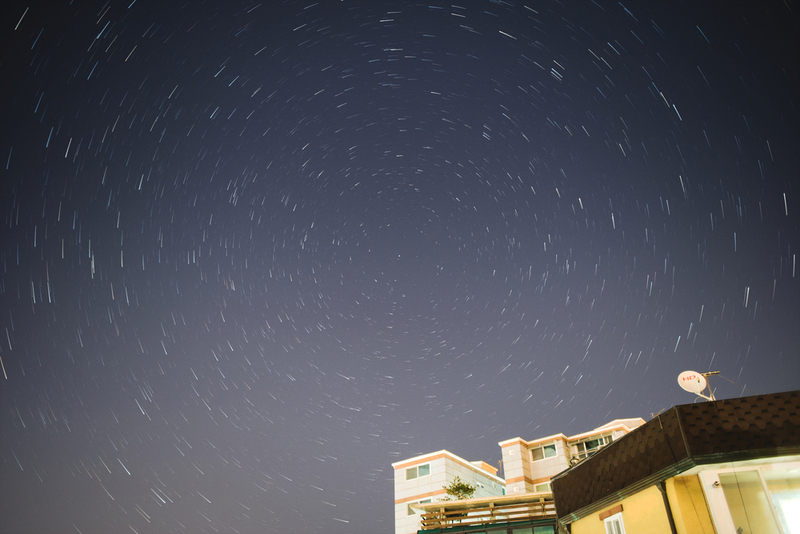 Test shot 2: Rotational traces of the stars. 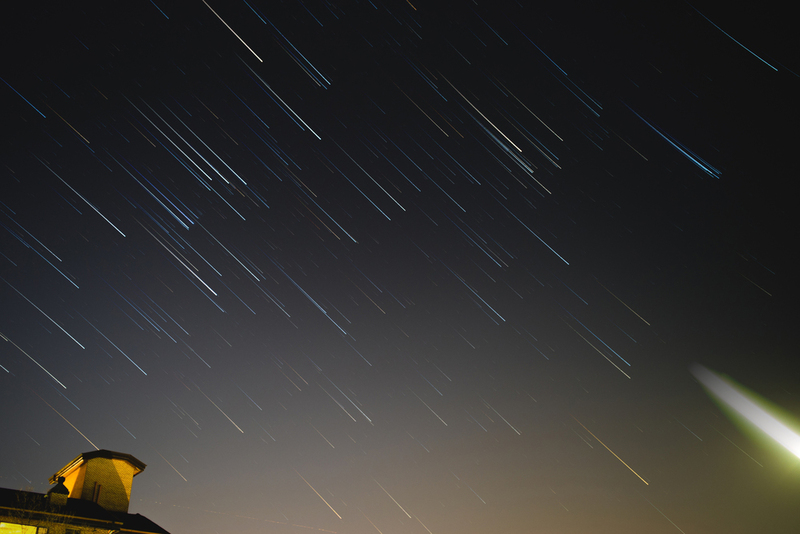 In advance, we located the Polaris with a smartphone application for exploring constellation. through neon signs and fierce exhaust of night taxies. one step back brings friendship and silence. together with the moon, sun and the stars. 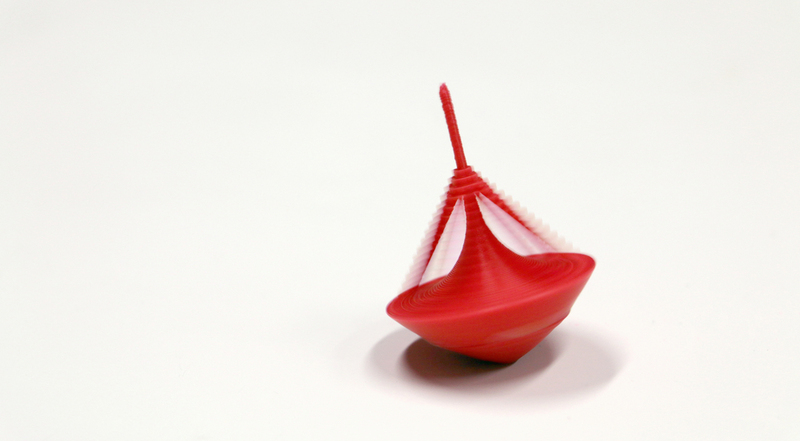 A spintop is a toy designed to be spun rapidly on the ground, the motion of which causes it to remain precisely balanced on its tip because of inertia. It has analog touch and is easy to create certain motion, which immediately adds another dimension. For this reason, we tried to complete certain geometric sculptures by using them. Spinning contains rotating movement and this sequence of motion should be captured with time, to accumulate the trace visually. By doing this, incomplete sculptures can be completed by 4 dimensional medium. 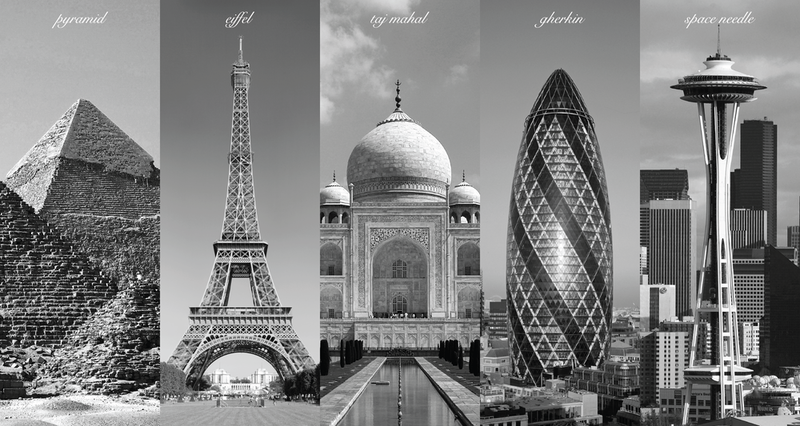 The buildings we selected to 'spin' are some of world famous iconic ones - no need to explain where they are-, of course also feasible enough to create the silhouettes with rotating movement. 'fourth', identity and package. The logo is a combination of number '4' and 'θ', the phonetic alphabet of 'th'. 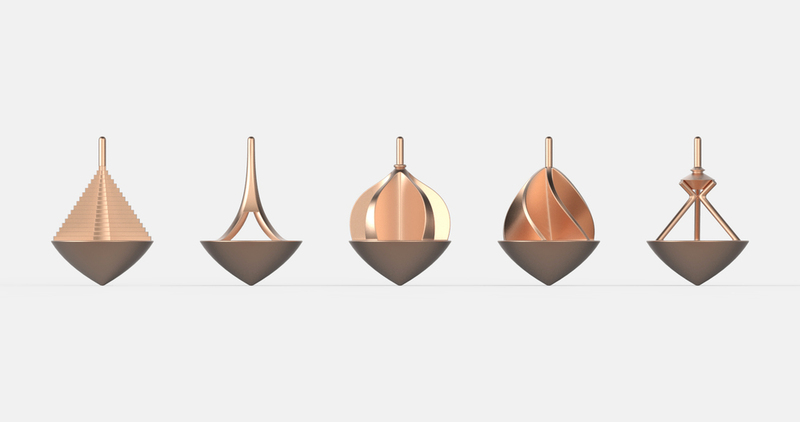 '4' tells the story of four dimensional sculpture and the diamond-like silhouette of 'θ' also resembles the shape of a spintop. 'fourth' building series in polished copper. 'fourth'. They are not just toys, but also down scaled sculptures, with motion. 3D print samples for testing movement. Testing by spinning one of different 'Pyramid' prints. Four dimensional 'Gherkin' print, spinning. We will update with better quality 3D prints in metal and photos of the final results. So, stay tuned. Published on 31st of January, 2015.